Hello and welcome to week 7. This week we have seen a major buy out of one of the pioneers of the UK craft beer scene. Magic Rock has been sold to Australian drinks giant, Lion. This is pretty big news within the craft industry and simply continues the trend of recent years. 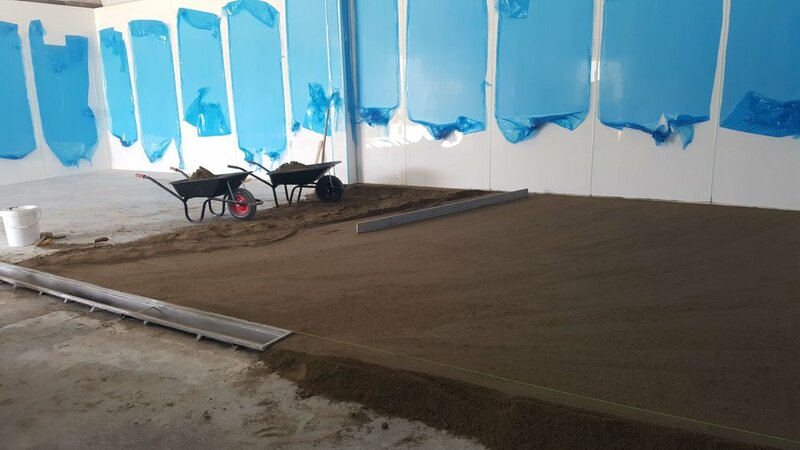 OK, not to be side-tracked, on with the brewery relocation update…as mentioned last week, the focus this week has been on the completion of the brewery floor and I am pleased to say the floor will be finished today! Wow! What a lovely floor it is as well. It may be sad to get excited by a floor but I don’t care and hopefully when you visit us in the coming months you will totally agree. Definitely. will. We need to wait about 10 days before we can start putting any significant load on the floor so we will do just this. So we will soon be able to place our new fermenters and hot liquor tank on the floor (they are about 2 weeks away from delivery) and we can finally start seeing evidence of a brewery. Nice. A whole bunch of electrical “stuff” needs to be installed in this room as well as the cooling pipework. 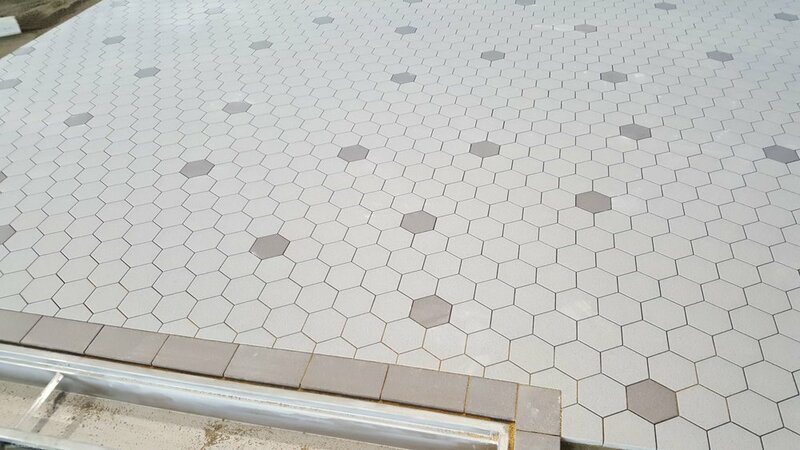 Plenty more to do after the floor is ready! As well as the shiny new floor, we achieved another milestone this week. We moved more than half of our beer stock to Hardley and the rest will be moved tomorrow. 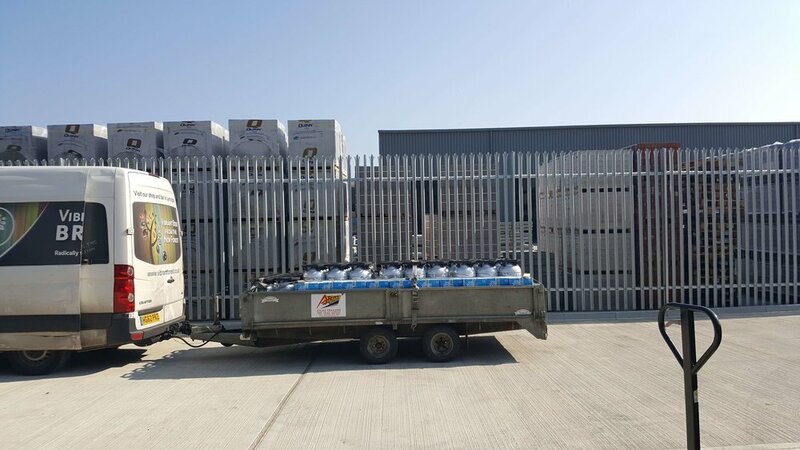 Some of you may know that the past couple of years has been pretty painful as we have had to store our beer off-site about a mile away and this has meant LOTS of travelling backwards and forwards to drop off and collect beer. Beer is heavy, especially when there is a lot of it. Fortunately nobody collapsed during this time and without this additional storage we would not be where we are today. At this point I must thank my staff for the pain endured with this off site storage and thankfully it is finally thing of the past. Thanks for your patience chaps! Far too many hours and calories have been wasted lugging stuff around. 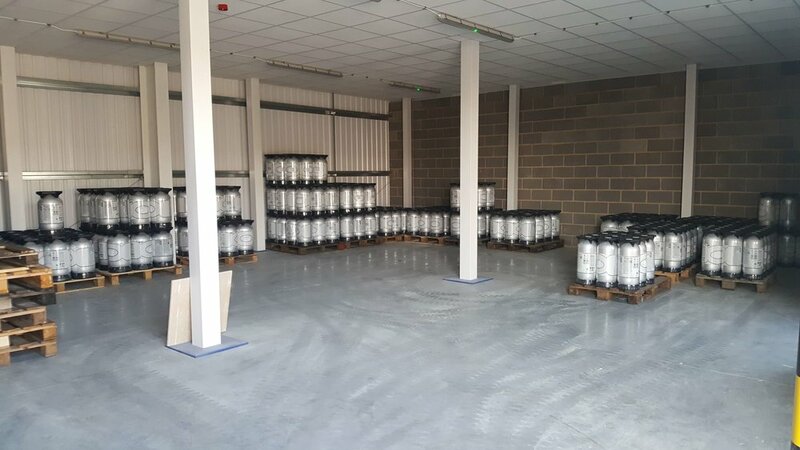 No doubt we were not alone as a small brewery business can never have enough space…. This coming week we should have our new brewery sign installed and all office activity will now take place at Hardley. Our office in Lymington is pretty dire to be honest as it is so noisy from the brewing activity that making phone calls is sometimes an unproductive experience. Also, the office is small and I have not had a desk for some time now so having to work at our cold bar or from home a lot! I have my own office at our new site and the sales guys have their own too. We even have carpet and a window where we can spy on you folk who come visit our taproom when it opens! Right, I am in the middle of brewing Pupa so I better crack on with that and I look forward to another week working in this mighty interesting and challenging industry.